We hope you all had an incredible weekend at the first Tabletop Gaming Live convention in London in September. We had such a fantastic time that we’re delighted to announce Tabletop Gaming Live will return to the beautiful Alexandra Palace in 2019! Thousands of players from across the UK and beyond came along to our first event to play and buy the latest games, win prizes in tournaments, take part in workshops, listen to talks and much, much more. 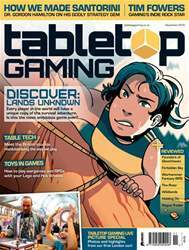 We loved meeting readers and members of the gaming community – and, of course, getting to play unreleased blockbusters like KeyForge and Pandemic: Fall of Rome, plus celebrating the UK launch of Matt Leacock’s Forbidden Sky at the show.